Below you can view all the homes for sale in the Oxxford Hunt subdivision located in Cary North Carolina. 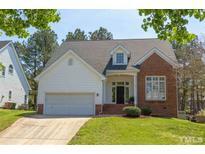 Listings in Oxxford Hunt are updated daily from data we receive from the Raleigh multiple listing service. To learn more about any of these homes or to receive custom notifications when a new property is listed for sale in Oxxford Hunt, give us a call at 919-634-6501. 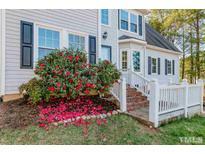 1-2 miles from Cary YMCA, Bond Park & Fresh Market. MLS#2248122. 2989. Outside, enjoy the expansive deck, large lot, 2 car garage, & convenient access to community pool/tennis, walking trails, Bond Lake & other amenities. Note: New Roof (2019)! MLS#2247101. 5020. Triple-paned wdws save energy. Fenced-in, peaceful backyard. MLS#2240635. 4852.